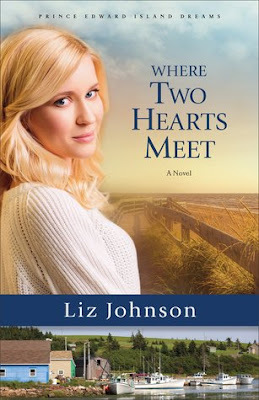 A combination of a lovely and new setting, enjoyable characters with a sweet romance, and a mystery to be solved through letters and journal entries made this story one to savor! Millie and Ben both have elements of desperation and vulnerability with the issues they are dealing with, and I loved seeing their relationship progress as they worked together on a journey of discovery. 64 Millie's devotion to her aging grandmother hit close to home for me, and I thought the themes of forgiveness and faith in God's grace were powerful and inspiring. Can't wait for the next book in the series! Justin's never forgotten Natalie or the music career he always dreamed of pursuing. He'd been prepared to follow her off the island until his dad died and he was left to run the family dairy farm. He's done the best he can with the life that was thrust upon him--but with Natalie back in the picture, he begins to realize just how much joy he's been missing. After Natalie's reception venue falls through, she must scramble to find an alternative, and the only option seems to be a barn on Justin's property. As they work together to get the dilapidated building ready for the party, Natalie and Justin discover the groundwork for forgiveness--and that there may be more than an old friendship between them. This book was oh-so-angsty and I loved it! Natalie is in some serious denial through most of the book which frustrated me, but in a good way- I was totally consumed by the need for her to open her eyes and see how much better the alternate path would be. I loved seeing her process all the hard stuff as she reconciled with Justin and realized how much their separation devastated him too. Renewing her friendship with him also woke up a dormant part of her personality that she had suppressed, and it was interesting to see the clash between the submissive fiancé Russell knows versus the vibrant, funny, passionate woman Justin sees. I loved reading from Justin's perspective and how deep his feeling run, even though he attempts to be the strong and silent type. 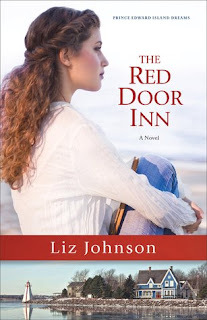 The amazing setting of the island and the Red Door Inn was a huge part of the book and I loved that the characters from the previous books played important roles in this book as well. One of my favorite scenes was the "kitchen party" where Justin and other musicians came together to play and we see how he puts his feelings about Natalie into his songs. A wonderful conclusion to the series and I highly recommend reading them all! The only thing Marie and Seth agree on is that getting the Red Door Inn ready to open in just three months will take everything they've got. 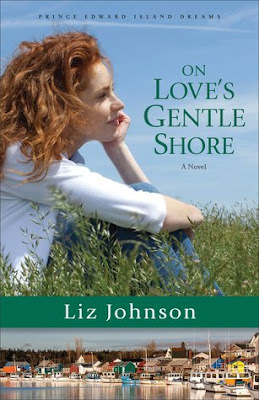 Can these two wounded souls find hope, healing, and perhaps a bit of romance on this beautiful island? Step into the Red Door Inn, a lovely home away from home tucked along the north shore of fabled Prince Edward Island. It's a place where the wounded come to heal, the broken find forgiveness, and the lonely find a family. Won't you stay for the season? So charming. I love the Red Door Inn and the great people in the community on PEI. We met Caden in the first book of the series as the bubbly and friendly baker that brightens Marie's day, so I was thrilled to see that the second book in the series featured her as the main character. There's a lot going on beneath that cheerful mask though- insecurity, vulnerability, and fear. I loved the layers to Caden's personality; even though she has struggles and often feels like a mess, she does have a quiet confidence and is accepting of herself and her flaws. Adam is dealing with some hard stuff, and in the Red Door Inn and Caden's friendship he finds a place to rest his spirit and a safe place to begin to sort things out. Adam is super friendly and appealing to Caden who has never really dated, but his charm didn't win her over so much as his persistence ;) There is great romantic tension that steadily builds and amazing special moments that Caden and Adam share. 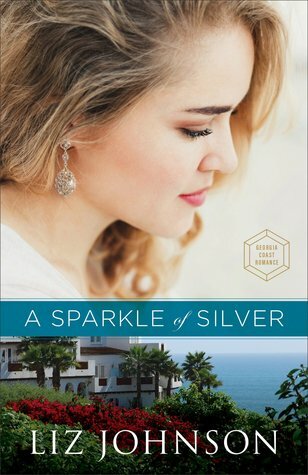 While this book can easily be read on its own, there is a subplot that is continued from the first book dealing with inn owner Marie and her father and their finances, and reading the books in order will give you a better sense of the history of the inn and Marie and Seth's characters.